InterDrone 2017 brought a plethora of interesting drone-related innovations, but the one we are going to be focusing on today is a brand new drone. 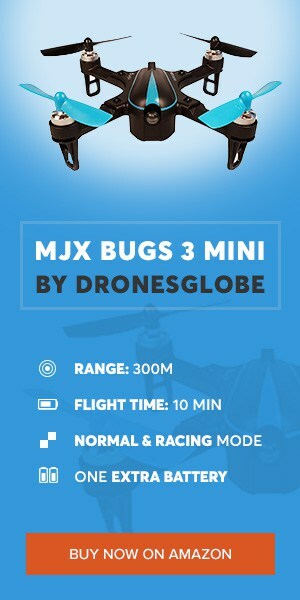 It’s made by GDU, a company which had a fair share of success with their Byrd drone; a marvelously designed little birdie with great capabilities. This time around, GDU is introducing 2 innovations in a single drone who bears the name GDU O2. Let’s see what exactly is it all about and how good does it perform! Yes, that’s right – this little birdie incorporates 2 (relatively) big innovations that could greatly influence the way you use it. First of them is the brand new patent that allows drone’s arms to be folded right inside of its body. Don’t mistake this for standard folding drones which have arms that fold towards the side of their bodies. That’s now how GDU O2 works. You see, its arms go right inside of its body, allowing for full protection from all sides during transportation. The second innovation is also closely related to its design. You see, GDU O2 comes with its own dedicated controller with an opening designed for your smartphone (will probably work with both Android and iOS devices) that shares roughly the same size as the drone itself. However, this is no innovation, right? Well, the controller snaps right down at the bottom of the drone, allowing for it to be easily stored in a single compartment. So, it seems as though GDU O2 is all about travel-friendly design, in a similar way just like the extremely popular DJI Mavic Pro. But, does it have the same capabilities as DJI’s masterpiece? Well, let’s find out! If you haven’t noticed already, this is not a typical review for this drone. 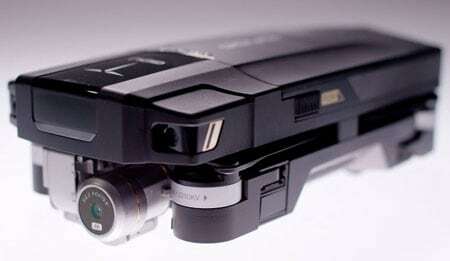 Come to think of it, such a review is still unimaginable since the drone is not even shipping yet. Preorders are scheduled for September when the first GDU O2 models are going to ship out. Another interesting thing about this drone is the fact that it is WiFi controlled. With that said, you cannot expect a huge range with this birdie – it’s not an exploration drone by any means. But additionally, Mr. Nicolia Wiles also noted the announcement of O2 Plus model which will, in addition to several new features, incorporates a different controlling mechanics that don’t rely on WiFi connection. It will, of course, be priced slightly higher than GDU O2 standard edition which has a price tag of $732. That’s all for now about this promising new drone. As soon as it’s released we will most likely have an in-depth review.